This project arose from a simple premise. Despite what many -- including, at times, the states themselves -- have argued, state governments have the strongest impact on the work of America's more than three and a half million public school teachers. With that as our framework, the National Council on Teacher Quality (NCTQ) began in 2007 what has become an annual 360-degree analysis and encyclopedic presentation of every policy states have on their books that affects the quality of teachers, specifically state efforts to shape teacher preparation, licensing, evaluation and compensation. Our goal has been to provide research-based, practical, cost-neutral recommendations to states on the best ways to improve the teaching profession in their states. 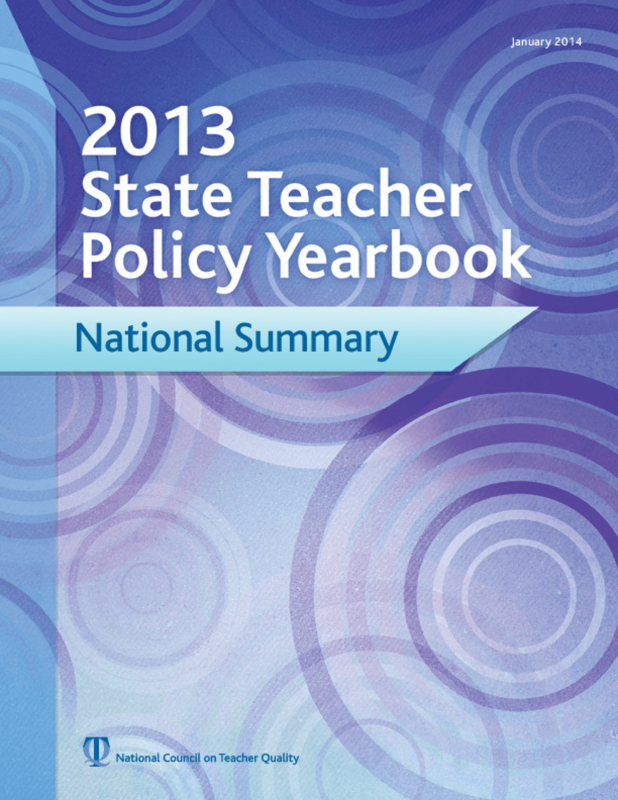 Copyright 2014 National Council on Teacher Quality.